Dr. Malecha was informative and personable. I want to also acknowledge the excellent care and skill of the tech who workedwith me. Outstanding job. Dr. Malecha's attending nurse was excellent in doing all of the advance work before Dr. Malecha came in to see me.She explained everything she was doing, and was so efficient. I hope to make Dr. Malecha my new eye doctor. Dr. Malecha's attending nurse was excellent in doing all of the advance work before Dr. Malecha came in to see me. She explained everything she was doing, and was so efficient.I hope to make Dr. Malecha my new eye doctor. Please note that The Portland Clinic maintains a 24-hour cancellation policy. If you need to cancel your appointment within 24 hours of the start time, please contact the practice as soon as possible. 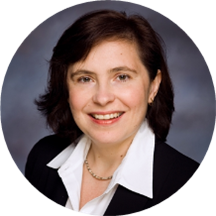 Monika Malecha is a dedicated and diligent optometrist serving the community of Portland, OR. Dr. Malecha attended the University of Tennessee, Memphis, where she received her medical degree, and completed her residency in ophthalmology at the same institute. She continued her training by completing a fellowship in cornea, external disease, and refractive surgery at the University of Minnesota. Dr. Malecha is a part of the Portland Clinic and is board certified by the American Board of Ophthalmology. She was elected as a top doctor in Portland Monthly’s 2015 and 2016 “Top Docs and Nurses” feature. She got into the field of medicine because she enjoys the combination of science and personal interaction with patients. Dr. Malecha is committed to giving the best care and establishing long-lasting relationships with them. After working hours you can find her either hiking, biking, cross-country skiing or camping with family and friends. Top doctor in Portland Monthly’s 2015 and 2016 “Top Docs and Nurses” feature. She is friendly down to earth and very professional. Her staff is friendly and efficient as well! I have seen her for years and I will keep seeing her! Dr. Malecha and her assistant were both very warm and friendly, as well as very professional. I received a thorough exam and they answered all my questions. This was my first visit with Dr. Malecha and it was great, I highly recommend her! It was pleasant as usual. The assistant and Dr provided detailed information and helped me to continue my healthy eye care. She was very reassuring and cheerful. I enjoyed our interaction. Her assistant was also cheerful and thorough. She was great and her assistant was excellent! I like her attitude that less is more regarding prescription medications. Dr Malecha was very professional and friendly. Her assistant was thorough and did a great job with my daughter. I was so impressed that I scheduled an appointment for myself. medical care adequate. visit felt rushed, impersonal, assembly line.